In his 2012 book Time Cure, psychologist Philip Zimbardo introduced a groundbreaking therapeutic approach for PTSD sufferers, co-developed with Rosemary Sword. 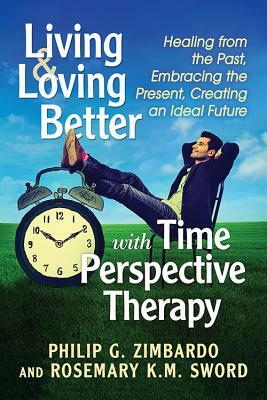 "Time Perspective Therapy" shifts mental focus from the past to the present, and from negative to positive events, helping the subject achieve a more balanced view of life. Featuring relatable real-life stories, this book describes how TPT can help anyone living with depression, anxiety or stress move beyond the negative experiences of the past--from toxic relationships to bullying--toward a more positive future. Stanford University professor emeritus Philip G. Zimbardo is known for his landmark prison study, dramatized in the IFC film The Stanford Prison Experiment. His nonprofit Heroic Imagination Project teaches how to meet challenges with wise and effective action. He lives in San Francisco. Rosemary K.M. Sword is the author of numerous -TPT-related articles, coauthor of a popular PsychologyToday.com blog, and the developer of -TPT-based Aetas: Mind Balancing Apps for mobile devices. She lives in Makawao, Hawaii.